A popular breakfast cafe in Kapolei, only ten minutes from Ko Olina Beach Villas, is My Cafe. They serve breakfast and lunch all day until closing (2:00 p.m.). Call ahead seating is recommended. Their pancakes are legendary. 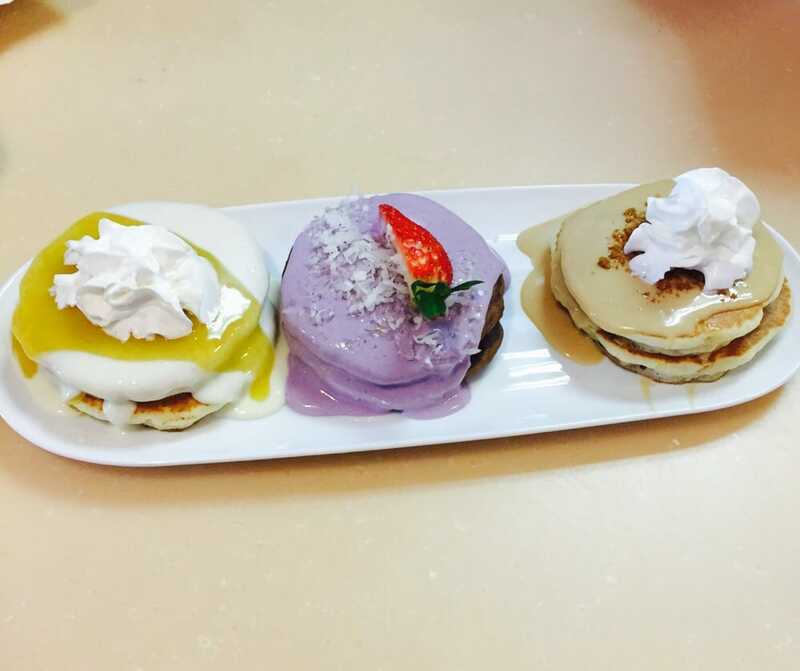 If you can’t choose between the Cookie Butta Luva, Lilikoi, or Chocolate Taro Haupia pancakes, you can get their famous Flight of Pancakes. You will find yourself using native words like “lani” (heavenly) and “ono” (delicious). They cover all of your standard breakfast needs, such as bagels, scrambles, french toast, breakfast plates, omelets, benedicts, and lighter breakfast fare (fruit, oatmeal, yogurt, etc.). 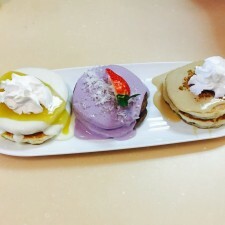 They also offer some uniquely Hawaiian dishes, such as Loco Moco and Fried Rice. If you’re looking for lunch, they’ve got that covered too. Sandwiches, salads, paninis, acai bowls, and smoothies. Something for everyone. You may be a “malihini” (visitor), but you’ll feel like “ohana” (family). For more information, visit https://www.mycafehi.com/contact. This entry was posted in Things to Do - Ko Olina and tagged Hawaii, Kapolei, Ko Olina, Ko Olina Beach, Ko Olina Beach Resort, Ko Olina Beach Villas, Ko Olina Beach Villas Resort, Ko Olina Paradise, Ko Olina Resort, ko olina things to do, Oahu, Oahu Things To Do, Things to do in Hawaii, things to do in Ko Olina, things to do in Oahu. Bookmark the permalink.